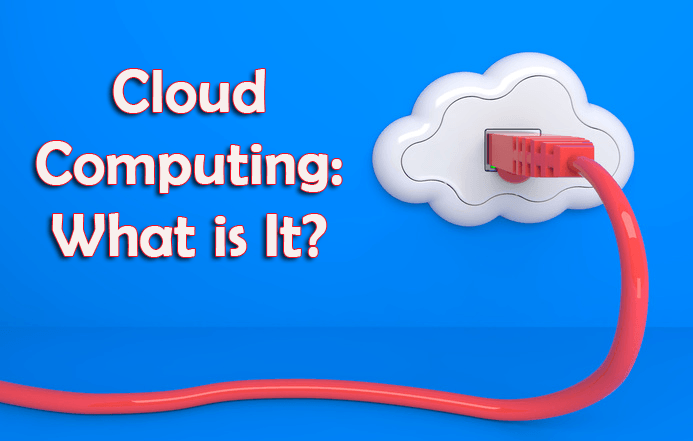 Cloud Computing: What is It? Cloud computing is one of the biggest buzzwords around and everybody and their brother are touting it as something you MUST take advantage of or you will be left in the dust by your competitors. Whether that is true or just a lot of hype remains to be seen but cloud computing can be a powerful technology that many businesses can utilize to do more-with-less. This is the first of a 2-part series on cloud computing from a business perspective, that is, from the perspective of whether it is good for your business or not, and how to figure out that best way to use it to improve your business. Cloud computing is a model for enabling convenient, on-demand network access to a shared pool of configurable computing resources (e.g., networks, servers, storage, applications, and services) that can be rapidly provisioned and released with minimal management effort or service provider interaction. While technically accurate, that definition is somewhat confusing to the average person. Basically, cloud computing isn’t a technology but a shift to a new way of using computing to empower your business and save you money while doing it. One thing to remember is that it’s a service not a product and, in plain language, public cloud computing is using other people’s hardware and software over the Internet. If that sounds very familiar to using web sites like Google Docs and Salesforce.com, Amazon S3 and Dropbox for storage, and hosting companies for your blogs/Web sites, you would be correct. What’s different is in the scale of resources that are available to you and the ease of which you can start up, and how you can seamlessly increase/decrease the resources you use. In other words, cloud computing is like a utility – for example, electricity or water – where somebody else provides (computing) resources and you pay for only what you use. 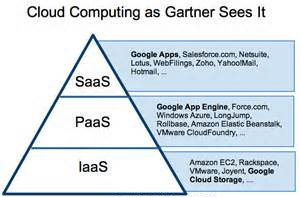 There are 4 primary uses/service models of cloud computing. What cloud services are available is the first thing you must understand to properly assess and benefit from this technology shift. Infrastructure as a Service (IaaS): This has been the most common and fastest growing cloud-based service . It provides computer hardware — servers, data storage space, etc. –- available on-demand. Software as a Service (SaaS): Another very common cloud-based service provides instantly available software that runs “in the cloud”; that is, it runs on the Internet, instead of being installed on your computer. This eliminates the costly install/update/run process that’s normal with traditional software; SaaS is referred to as “software on-demand”. Basically, you rent the use of software which is available to you on the Internet anywhere and anytime. Software as a service (or SaaS) is a way of delivering applications over the Internet—as a service. Instead of installing and maintaining software, you simply access it via the Internet, freeing yourself from complex software and hardware management. SaaS applications are sometimes called Web-based software, on-demand software, or hosted software. Whatever the name, SaaS applications run on a SaaS provider’s servers. The provider manages access to the application, including security, availability, and performance. Network as a Service (NaaS): Not a very common service yet but it is expected to grow over the next few years. It provides network services such as wide area networks (WAN), bandwidth on demand, and other things like VPN services. Platform as a Service (PaaS): This service provides complete environments and is commonly targeted to software development needs and provides software development services/environments for creating, testing and deploying software applications. These services include pre-created environments: operating system, programming languages, databases and other development tools. The Cloud has achieved cost reductions for many companies while helping them get their products to market much more quickly, as well as, helping them focus on their core business instead of wasting their valuable resource dealing with computer technology issues. Cloud computing seems to be here to stay so you should understand what it is, how it can benefit you, and when to use it and when not to use it. In the next installment of this series, Cloud Computing: Is It For You?, we’ll look at 7 important business aspects and the advantages and disadvantages that cloud computing has related to those business needs.